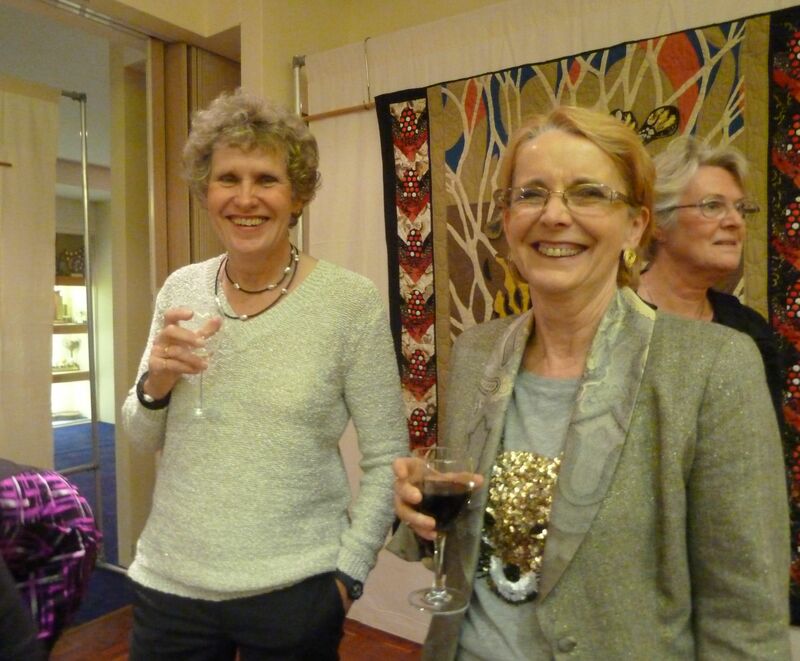 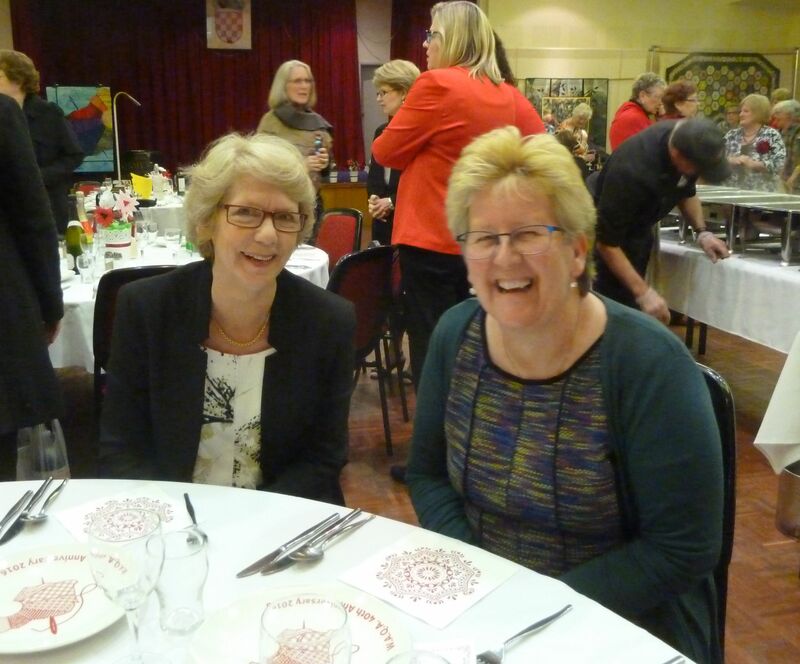 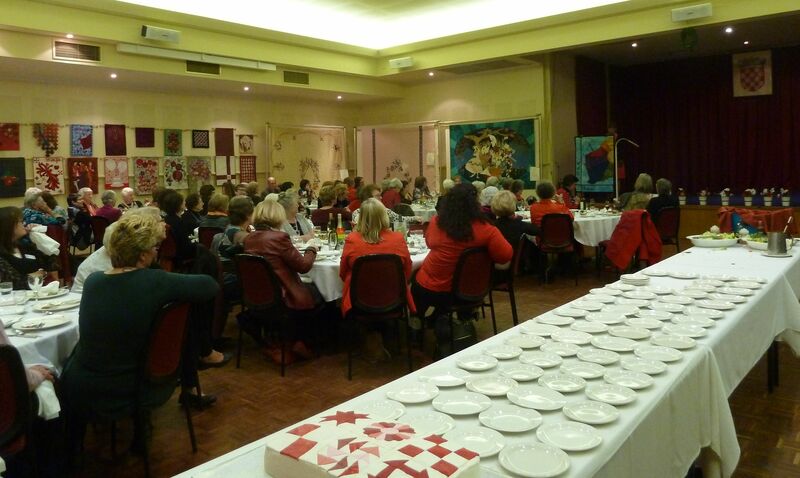 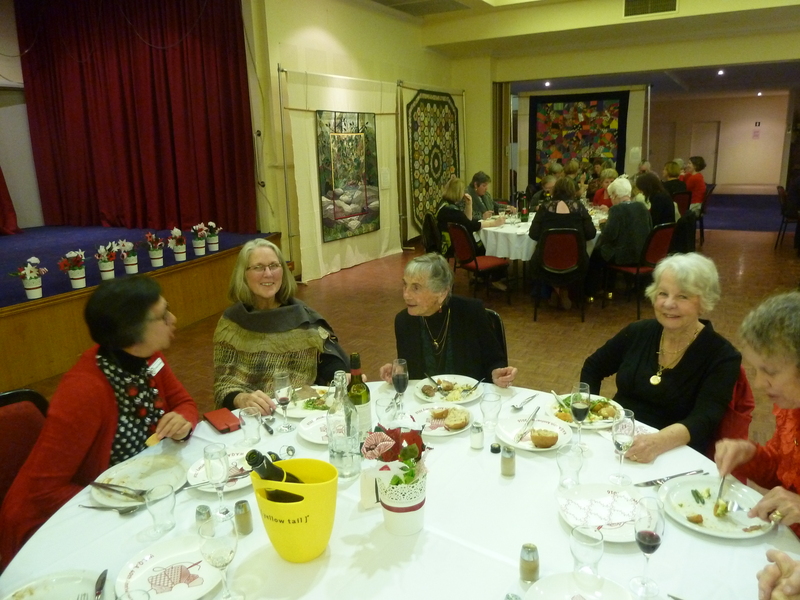 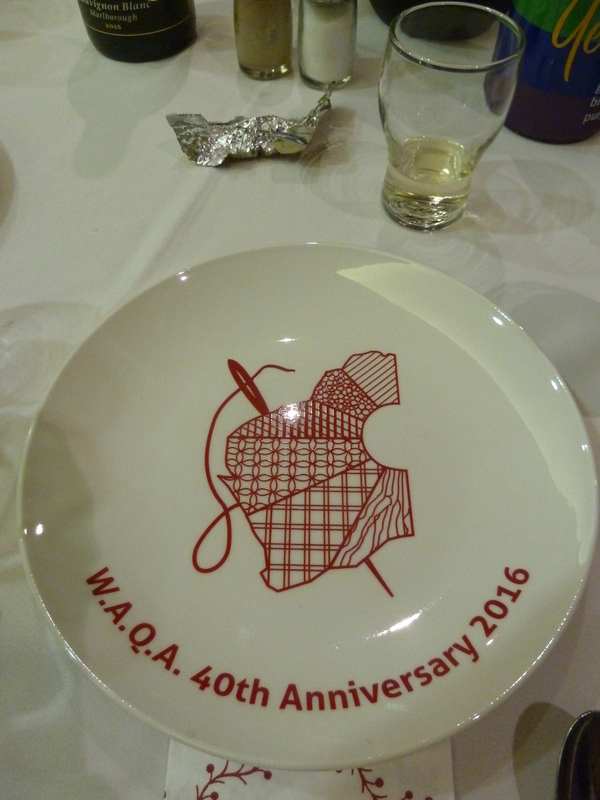 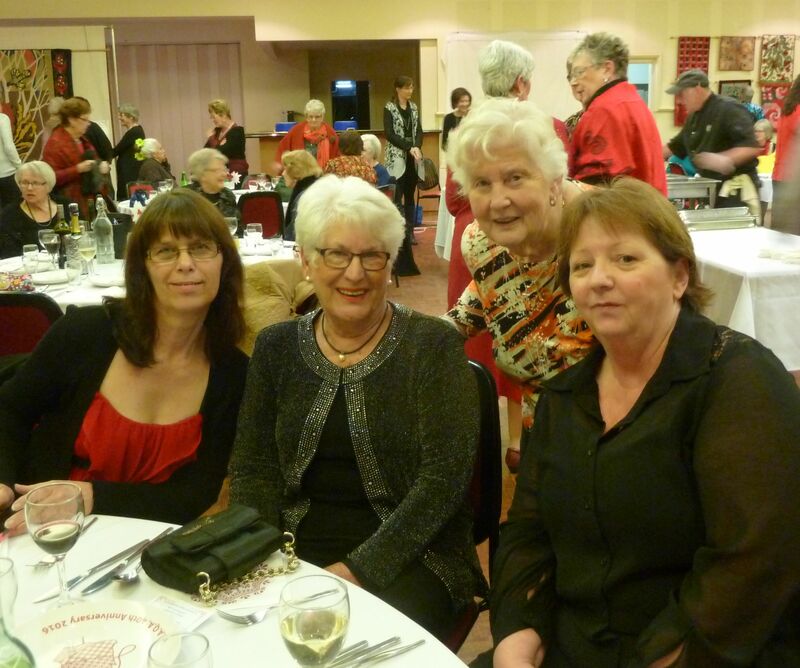 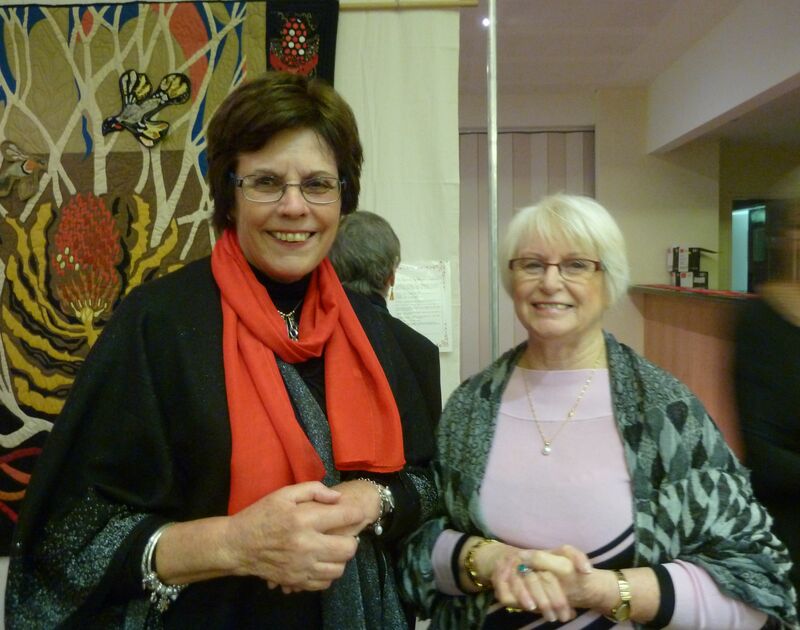 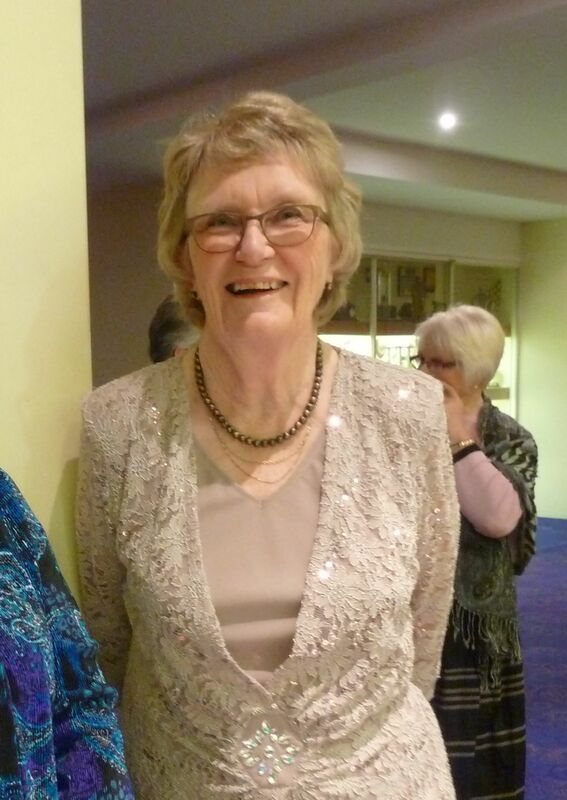 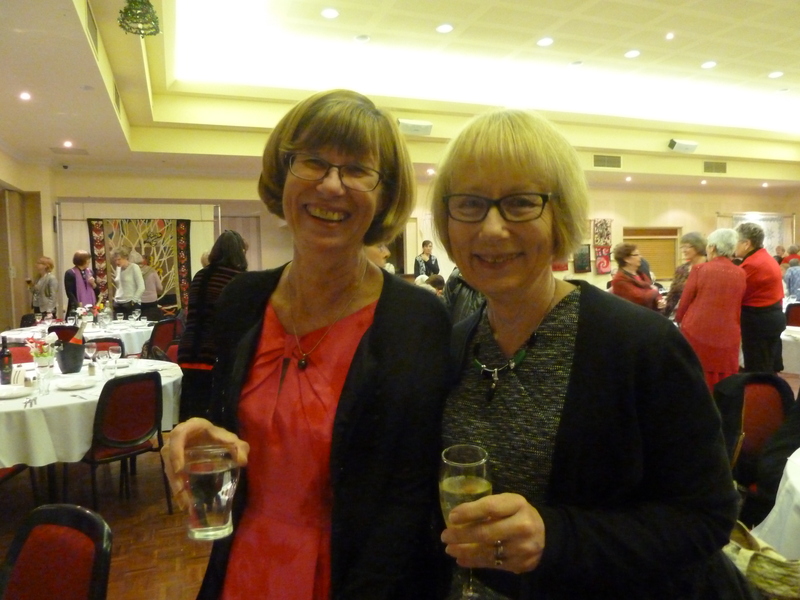 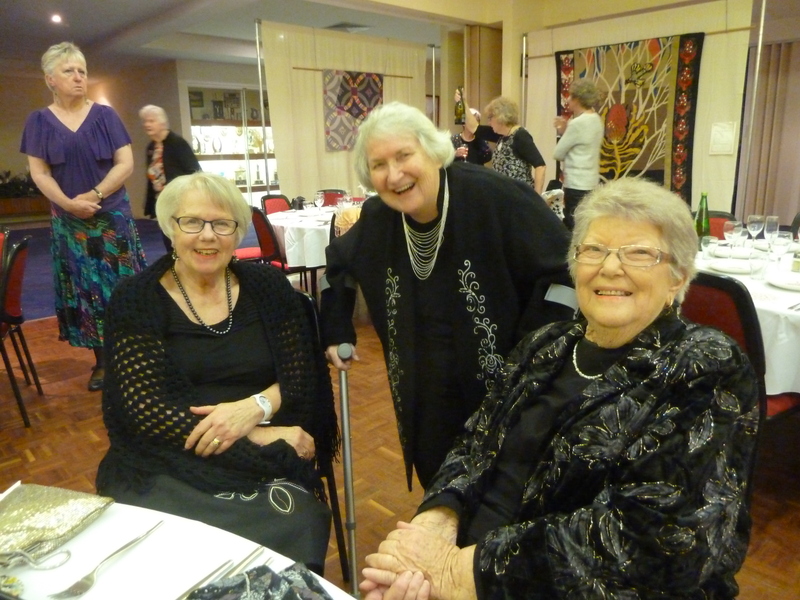 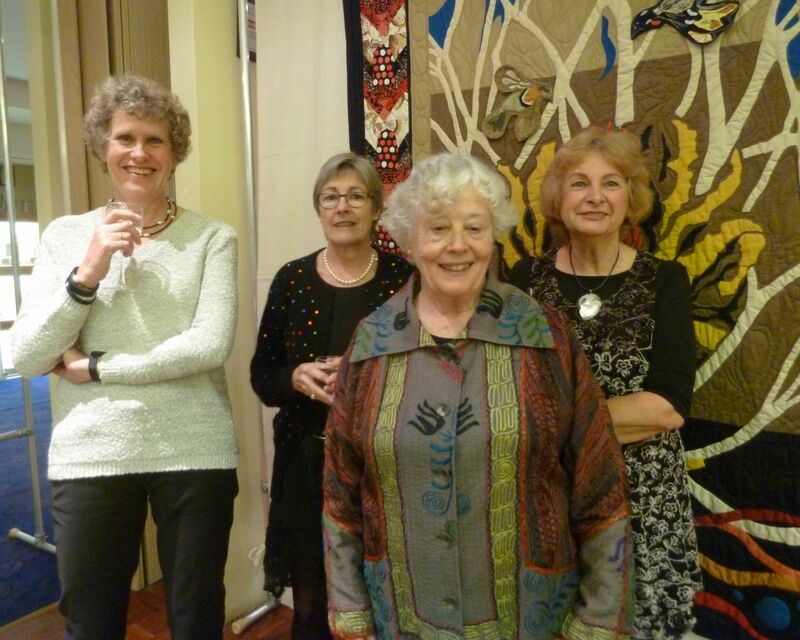 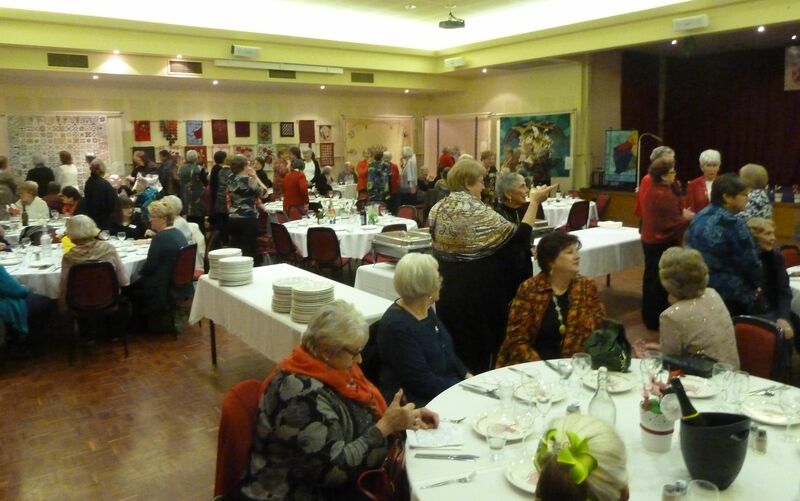 The West Australian Quilters’ Association’s 40th Anniversary Dinner was a huge success last night, organised to perfection by our past presidents led by Judy Campbell. 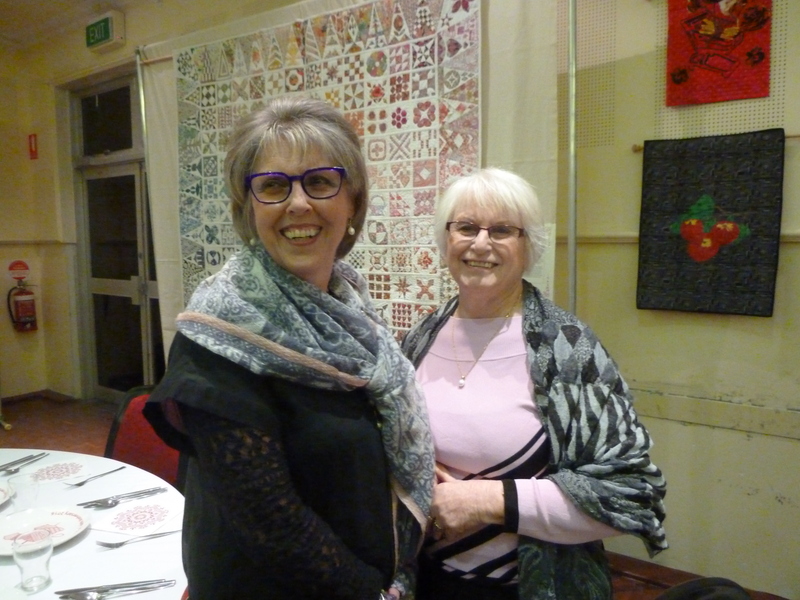 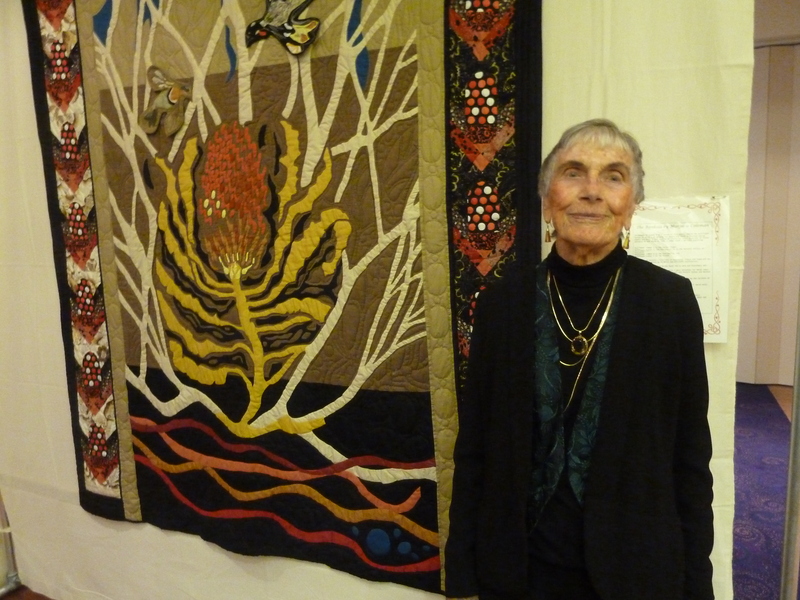 The Stirling Adriatic club was transformed with a display of quilts reflecting styles over the last 40 years, from traditional to contemporary quilts and also on display were the ‘Ruby’ challenge quilts. 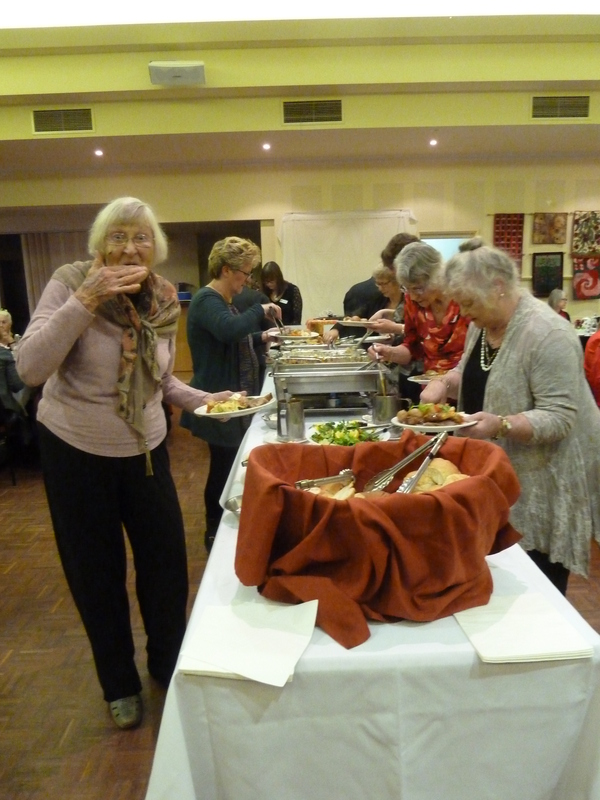 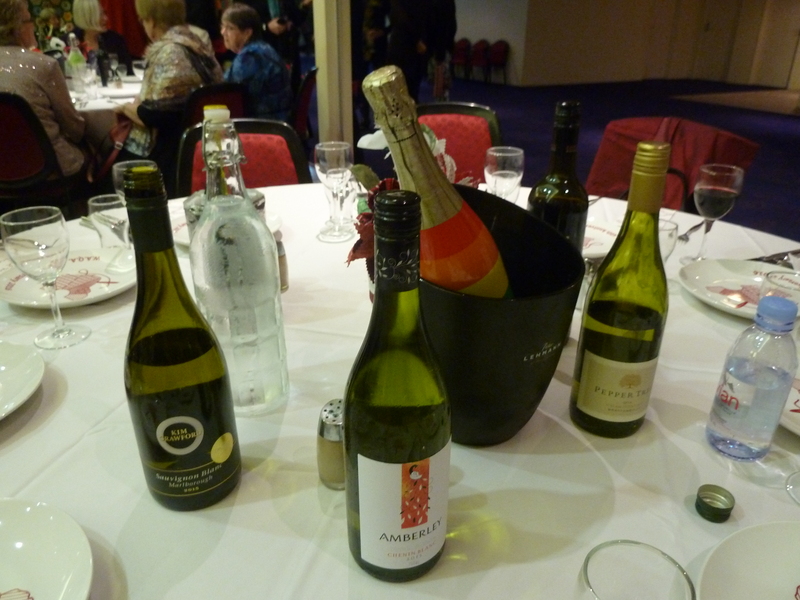 A spit roast dinner was enjoyed by all with plenty of wine, good food and laughter. 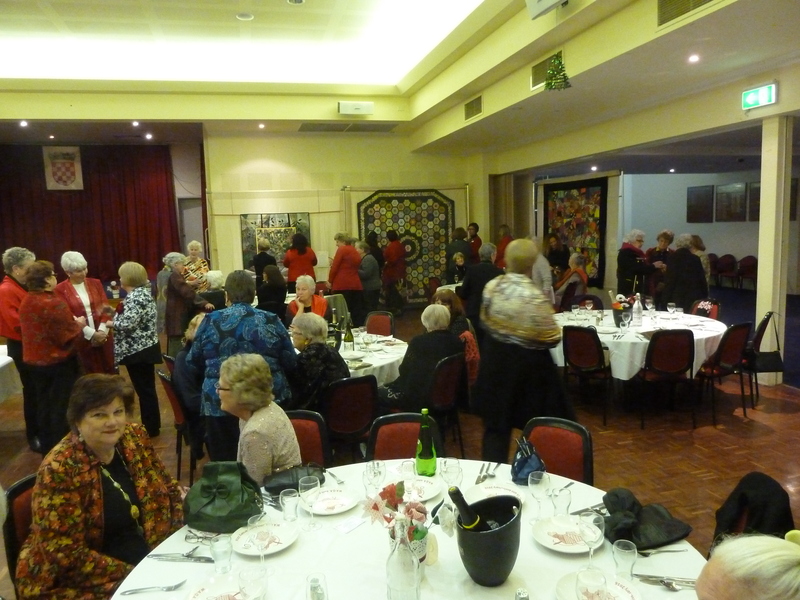 We were treated to a fashion show of quilted outfits dating back to the seventies (what were we thinking?) 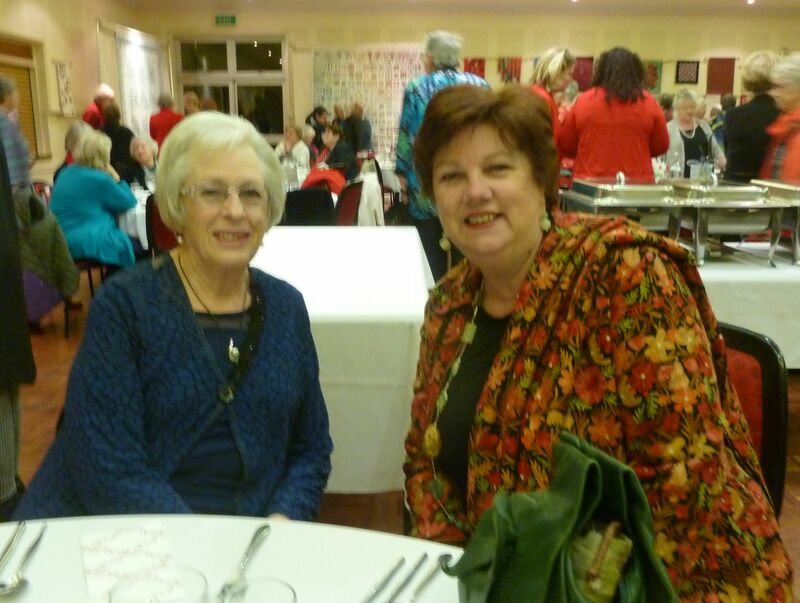 and sang to the new WAQA theme song composed by Melodie Symes. 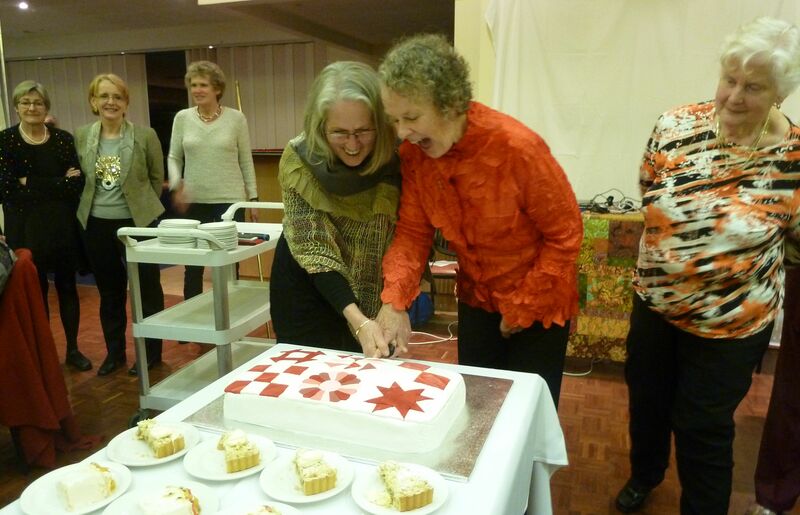 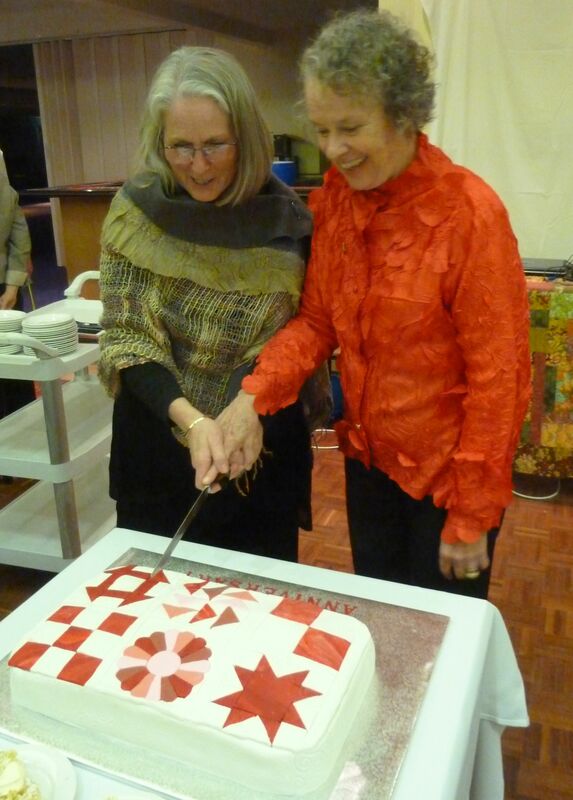 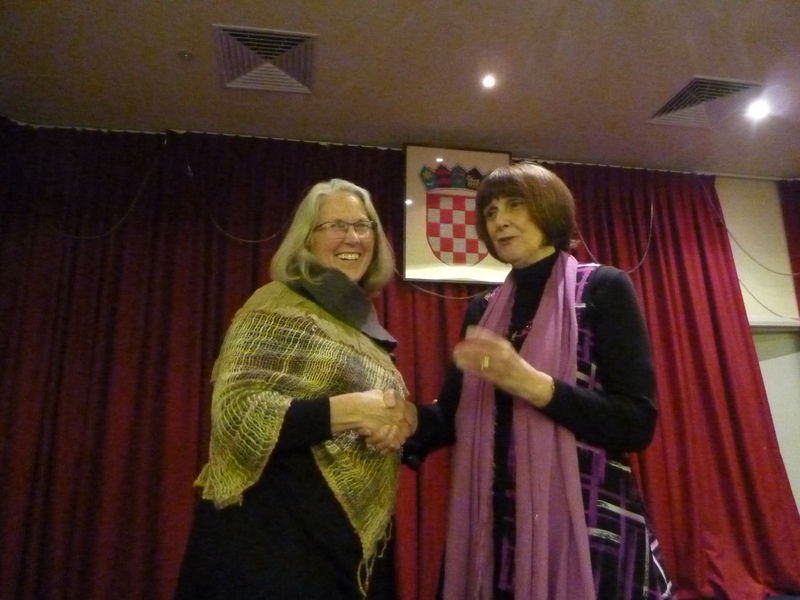 Present President Gwen Parry and first President Maryllis Green-Armitage cut the cake.